The Way to Avoid "Random Acts of Consulting"
Many accountants tell us they are already doing some consulting work with their clients. They will also tell us they have no formal processes or procedures for doing the consulting work. Without a formal structure, you end up with, what we call, "random acts of consulting." 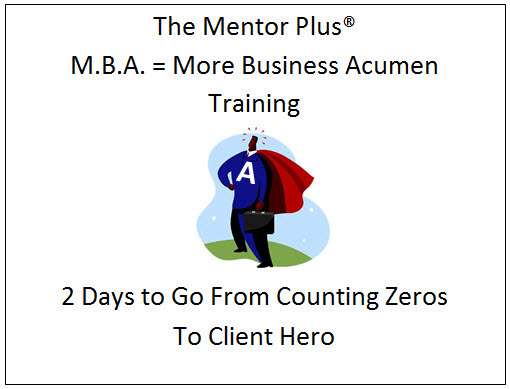 With Mentor Plus programs you not only expand your skills, you gain access to a proven methodology for launching or structuring your current consulting services. No need to start from scratch or reinvent the wheel.